We all know Gravit is awesome for concept designs. I use it often to design web applications before I begin coding because it helps me visualize what I need to be coding. One thing that I find myself doing is going back and forth in Gravit looking at the spacing, sizing, and colors I used in the concept design so I can manually convert those blocks into real HTML and CSS blocks. I would like to export/view the HTML and/or CSS code directly in Gravit. 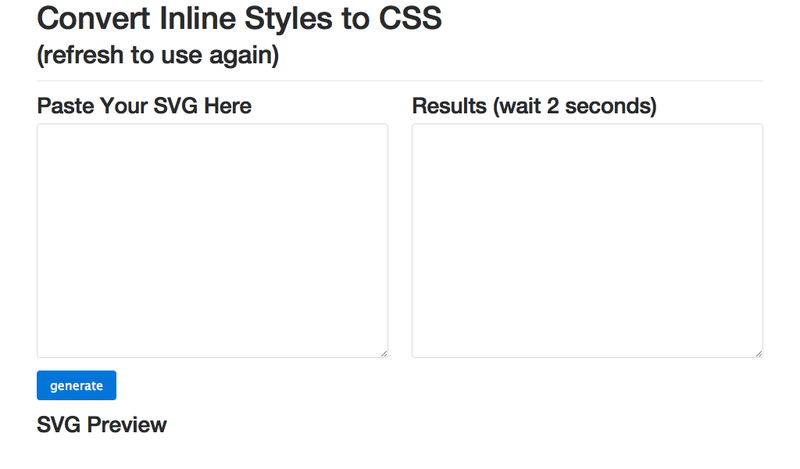 This would be a huge time saver as I would not have to manually write all of the sizes, spacing, and colors in CSS. I know it wouldn't work flawlessly but being able to grab the css of a specific layer and it's sub-layers would be amazing. I realize this isn't quite what you are looking for, but I made a little script that pulls all of the inline styling out of a gravit illustration and puts it all into a single stylesheet. I thought it might be useful in some capacity. Can I help you to develop this feature, I think that It’s key feature for your product. Hi @KooroshTorabi, thank you for the kind offer but that won’t be necessary. This feature is already planned and we plan to have it on Gravit soon. Do you happen to have a release date for this export feature (exporting design into HTML/CSS)? Export to SVG and open with Inkscape. In Inkscape, export as HTML5 Canavas.